Mariya always had an active lifestyle. Growing up, she found interest in many athletic activities, like dancing, skiing, biking, ice skating, running, martial arts, yoga and many more. 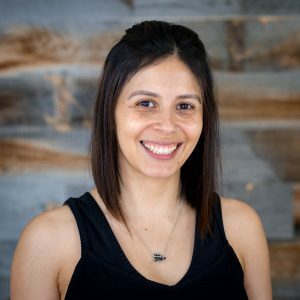 For the past few years, yoga has been a big part of her life and upon discovering Pilates, she realized it was a great challenge for her body and a compliment to her yoga practice. This inspired her to become a Pilates instructor and share her passion for movement and flow. Mariya is certified in Intermediate Mat Pilates by Equinox and Inferno Hot Pilates with Gabriela Walters, founder of IHP. 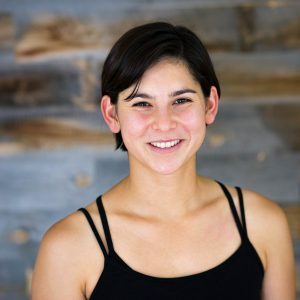 Nicole discovered yoga 8 years ago and quickly identified the physical and mental benefits of a regular practice. She has experimented with many yoga styles, but is particularly drawn to Ashtanga-based postures, vinyasa flow and the patient development of advanced asanas. As a yoga instructor, Nicole encourages yogis to incorporate both mental and physical challenge in their practice while remaining safe and having fun. Yoga is a wonderful way to learn about both your body and your mind while enjoying the journey of discovery. Shastri is a well-known and highly respected hatha yoga teacher with an extensive background in yoga philosophy. 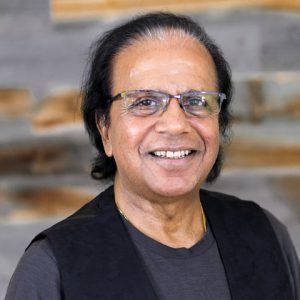 He has been teaching yoga for over 30 years, bringing his deep knowledge of the physical and spiritual aspects of yogic philosophy to his many students on the peninsula and in the South Bay. Shastri trained in India and studied under the guidance of Shri Vishnu Prasadji. Shastri was born and raised in a small village Shamli, India. He comes from a Brahmin family. Also, Shastri was brought and trained in the Yogic milieu. He studied yoga and yogic texts under the guidance of Shri Vishnu Prasad ji and his own father, Damodar Shastri, a Sanskrit Scholar for 5 years. He mentored many students, in the Bay Area and across the US, who are excellent teachers. Over the years, Shastri has developed his own unique style of teaching which is based on traditional India, a homeland of yoga. This style is accessible to all at the same time complete and rigorous practice. Sarah began practicing yoga four years ago as a young mother, and immediately fell in love with the feeling of serenity and vitality that yoga gave her. Having come from a background as a fitness instructor, she appreciated the mindful focus on breath and movement, seeking the balance between effort and effortlessness. In 2013, she graduated from Avalon Yoga’s 200-hour teacher training program. She draws inspiration from the alignment focus of Iyengar yoga, as well as the Vinyasa practice of joining breath with movement. 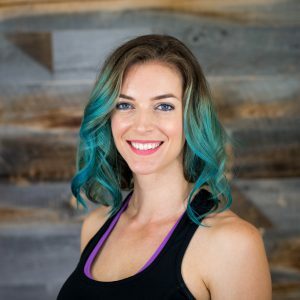 Sarah teaches a mixed style flow class that is both challenging and accessible to all-levels of students. Designed as a moving meditation, her classes offer a combination of cardiovascular exercise, strength, flexibility, and balance, with a thoughtful focus on alignment. Each class ends with a 10 minute guided meditation Sivasana pracitice to restore and revitalize the body and mind. 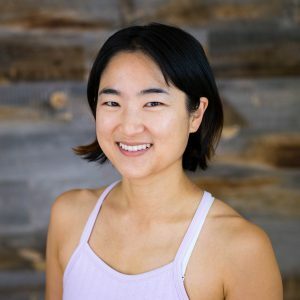 Minjeong discovered yoga in Berkeley in 2002 as a way to relax and de-stress while exploring various angles of the body. 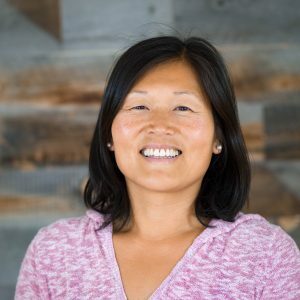 Since then, she has maintained a steady personal practice and has learned from teachers around the Bay Area, in traditions of Iyengar and Vinyasa. She completed a 200-hour yoga teacher training program at Avalon Yoga in 2013. She is inspired by the precision and discipline of Iyengar yoga, creativity and flow in vinyasa, and the self-compassion and mindfulness cultivated in restorative yoga. In her classes, you can expect a cadence that leaves room for sensing each experience, and cues that enhance awareness and a feeling of spaciousness in the body. Karlee aspires to be a yogi both on and off the mat. Her personal practice includes authenticity, ahimsa, meditation, pranayama, asana and active love. She approaches teaching yoga as and act of service, takes the time to know all her students personally, and sequences her classes to their specific needs. 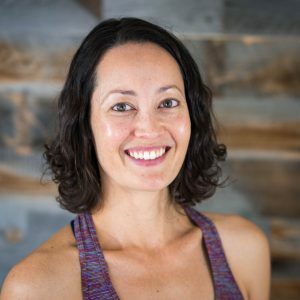 She found yoga in 2008 on her path to heal her numerous dance related injuries and has developed an in depth understanding of human anatomy through both a medical and yogic lens. She received her 200 hour RYT training under Tony Giuliano with a focus on Tantric principles and alignment based hatha. She also completed the 85 hour RPYT Prenatal Yoga training under Jennifer Wolfe of Prenatal Vinyasa Yoga. More recently, she received mentorship on pranayama (breath work) technique from Kundilini teachers Kirantana Khalsa and Sukmandir Signh Khalsa. In a typical class, expect an emphasis on bio-mechanical alignment, attention to detail, technique, breath cues, sweaty soulful fun, and depending on the day, humor. The first yoga class I ever took taught me the importance of alignment and steady ease since it was focused on spinal care for those of us with scoliosis. My second taught me joy, even in the face of things that seemed scary: As soon as we walked in, the teacher announced that it was upside-down day and would be full of headstands and handstands. I have taken as much as possible from those foundational experiences to set the tone for the classes that I teach. The more I practice yoga, the more that I see it is less about making my body into origami shapes and more about the steadiness of the mind. I hope I can inspire this same kind of calm for my students so that they may be able to find it both on and off the mat. I am a certified Yoga Alliance registered yoga teacher (RYT200) trained in multiple hatha traditions. My most recent training was a 200-hour training with Jillian Glikbarg of the Bindu School which has a Tantric focus. Dina comes to yoga from the world of dance. She studied intensively from early childhood and had a professional career in classical ballet and traditional folk dance. Two decades ago, yoga became a natural and intuitive extension of her daily, personal practice and gave her a higher understanding of yoga as a way of life: a way to move, ground, exchange or release energy into the world. 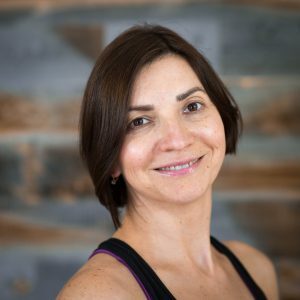 Dina specializes in the modern Hatha forms of Ashtanga, Iyengar and Vinyasa teachings. She believes in establishing the relationship between body, breath and mind as a vital foundation of any practice. This allows her to develop classes by crafting the quality of asana as the ultimate realization of the breathing technique’s virtue. Dina is 200 RYT certified by Bindu Yoga in Palo Alto, CA where she studied under Jillian Glikbarg. Nadja started yoga as a cure for her blues, but not too far into her practice she realized that yoga is more than asana and cool yoga pants. By combining body and mind through the rhythm of the breath, it became not just a practice, but a different way of life. She is a wandering spirit; who is captivated by art, creativity, traveling and new experiences in life. Nadja enjoys stepping on her mat and sharing her own practice with her 2 sphynx cats. Yogini by day, sphynx lover at heart. Nadja is 200 RYT certified by Yoga Belly in Mountain View, CA where she specialized in vinyasa ow. Join her for a fun and friendly, yet challenging blend of the physical and spiritual worlds that comprise asana and yoga. Off the mat, she is a graphic designer who enjoys traveling and experiencing new things, she is a cat lover, cacti admirer and a tea enthusiast. Habla espanol. I am a Dharma Yoga teacher. I have been an avid student of Dharma Yoga since 2010 and received my 200-hour certification at the Dharma Yoga Center in NYC in February 2014. Dharma Yoga is classical yoga taught in the style created by Dharma Mittra, a living yogi who conducts his daily life pursuing the 8-limbs of yoga. As a teacher of Dharma Yoga, my goal is to guide students to discover the subtle physical and mental self-awareness that occurs in practicing yoga. In the class, students will practice Surya Namaskar (sun salutations) and be introduced to Shiva Namaskar Vinyasa (variety of asanas) to warm up the body, bring flexibility to all muscles and joints, and wake up the nervous system. The practice ends with deep relaxation in Savasana, Pranayama (breathing exercises), and Dyana (meditation). Aedra discovered yoga at a young age and immediately fell in love with it. She enjoys the combination of challenging strengthening poses paired with relaxing stretches. Aedra has a B.A. in psychology and has always been interested in how the physical body can affect the mind and one’s well-being. When away from the mat Aedra enjoys acting, dancing, rock climbing and cooking. 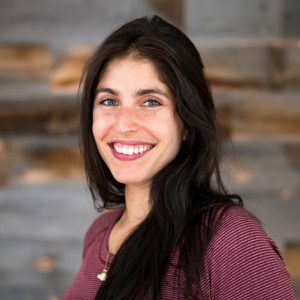 Ariana grew up spending holidays with her family in India and from a young age, she developed a keen interest in yoga, holistic healing, meditation, and nutrition. She has been practicing yoga for over ten years. She embraces Eastern thought and applies it judiciously to our Western lifestyle. 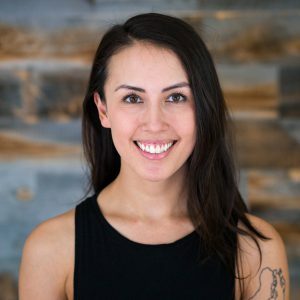 Ariana completed her 200-hour training under Emily Galvin (E-RYT 500) in 2014, and is very passionate about yoga therapy. Over the years, she has found yoga immensely healing for both physical and emotional pain. With a strong emphasis on breath as well as finding your personal edge, Ariana’s classes flow around sun salutations, balancing poses and postures that stretch and strengthen, leaving you feeling nurtured and renewed. She encourages you to listen to your body and create your own practice, allowing you to develop your own path to clarity, peace, and harmony. Luba is a movement enthusiast who dabbles in stillness. She takes pleasure in sharing yoga with an air of lighthearted discipline, playfulness and curiosity. Having received her 200 hour certification through Avalon Yoga International, Inc. in 2011, Luba continues to study under the mentorship of Anirudh Shastri. Off the mat, Luba enjoys learning efficient techniques for working with large datasets and lifting heavy objects. Join Luba in discovering additional degrees of freedom in your body and your life! 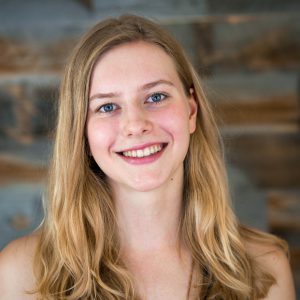 Aislinn is a Bay Area native who has spent the last nine years studying, traveling and living abroad; she fell in love with yoga while living in New Zealand, and came home to Silicon Valley to study Iyengar and Ashtanga yoga in-depth in pursuit of her passion. Her mentor, Lauren Anas, continues to have a big influence on her teaching style and personal practice. Her classes are challenging yet playful, and sequenced to build flexibility, endurance, strength and mindfulness. Off the mat, Aislinn is an avid rock climber, marathon runner, surfer and world traveler. Birgit teaches Yogasana Sadhana, the 8 limbs of Yoga. Since 2008 she is guided by her teacher Sri Prashant Iyengar. Her classes are a well-balanced and harmonious fusion of asanas, pranayama, chanting and meditation. She encourages the sadhaka (serene student of yoga) to practice with an open and humble mind and heart, being breath aware and to maintain a state of equanimity on and off the mat. Please visit her web site: www.yoga-is-all.com. Doris began practicing yoga in 1996. 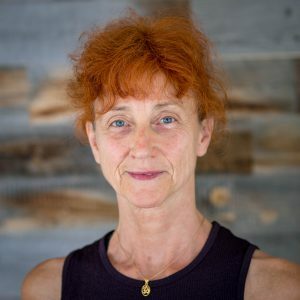 She has studied extensively at Foothill College with Ben Thomas, a Senior Certified Iyengar teacher with over 30 years of experience and globally renowned Restorative teacher, Judith Lasater at the Iyengar Institute in San Francisco. Doris believes yoga supports our most primal movements involving motions that is capable of reprogramming the body’s neuromuscular connections. 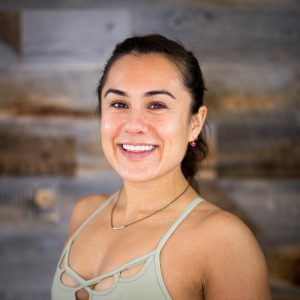 She employs dynamic sequences to develop flexibility and to reeducate the body’s most basic movements so that they become connected, supple, and natural. Joyce began her yoga practice in 2001 while her parents were battling cancer. She found it to be a relief from stress and a place where she could let go, re-center, and find her joy. She received her 200 hour training in 2005 through It’s Yoga Las Vegas under Maggie Verderame. She moved to CA and found her next mentor Anirudh Shastri, who she practiced under for 3 years. 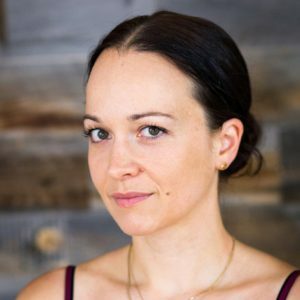 In 2013 she received her 85 hour training for Prenatal Yoga under Jennifer Wolfe of Prenatal Vinyasa Yoga and became a trained doula through Dolphin Doula. 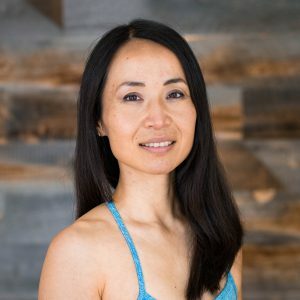 Her focus in prenatal yoga is to create a safe environment where women can become in touch with their changing bodies, learn how to bring the baby into a perfect birthing position with the use of gravity, alignment and movement and learn techniques to calm the mind and senses for labor. In 2015 she received her 95 hour Children’s Yoga Teacher certification from The Lotus Seed School of Yoga and Movement Art under Wren Doggett. Duanni Hurd completed 250 hours teaching certificate in Vinyasa Flow with Mark Stephens in Santa Cruz in 2008. 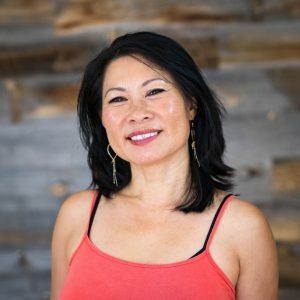 A dedicated practitioner in Mixed Martial Arts and strength training since late 1990’s, she has been teaching yoga, Pilates, strength training and martial arts inspired fitness programs since 2003, with over two thousand hours of teaching credits in the Bay Area. She challenges her students with a dynamic flow sequence that focuses on building strength and endurance with meticulous attention to body alignment and steady breath. 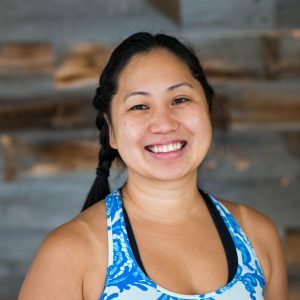 Her biggest joy comes from helping her students build a strong body and balanced mind, as well as finding peace and lightness throughout the practice. 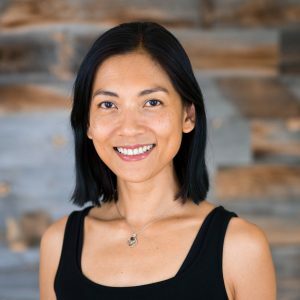 Janya teaches Restorative Yoga and Vinyasa She received her formal yoga training from Avalon Yoga, holds an Ayurvedic Specialist degree from California College of Ayurveda and American Institute of Vedic Studies. She has studied yogic meditation and vedanta philosophy at Sivananda Ashram, Grass Valley. She has studied yoga with Scott Blossom, Judith Lasater, Sarah Powers and many teachers in the bay area. Janya emphasizes body and breath awareness and weaves spiritual teaching of yoga in to her classes while maintaining focus on the body. You connect with yourself and gain physical, emotional and mental health. Her teaching is gentle yet challenging. 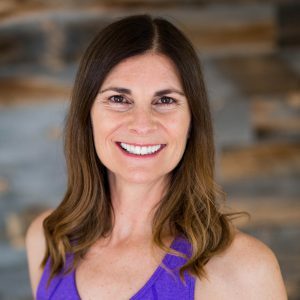 Karen McCavitt , a graduate of the Iyengar Yoga Institute of San Francisco and certified by the Yoga Alliance as an Experienced Yoga Teacher (E-RYT 500), started teaching yoga in 2002. 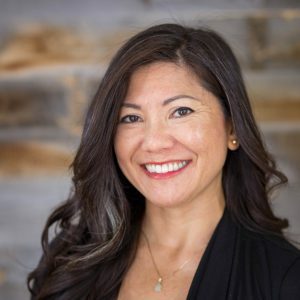 Karen’s classes balance strength, flexibility and breath awareness with flow – supporting each student with attention to alignment and connection to the breath. Her classes are safe, nurturing and fun and enrich every student’s experience. 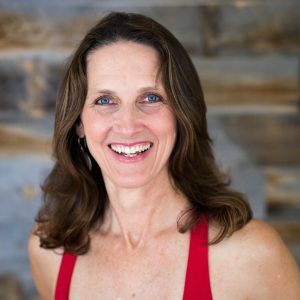 Karen is an avid bicyclist and has been featured in the Yoga Journal for her expertise in yoga for cyclists. Krassi Harwell has been teaching yoga full time throughout the Bay Area since 2002. She received her yoga teacher-training certification from Vivekanada Prashanti Kutiram Yoga Institute in Bangalore, India. Krassi’s training was focused on integrating the spiritual, emotional and mental aspects of yoga within a physical practice. Her classes weave in some of the traditional components of yoga, like breath work (Pranayama) and meditation, within a physically challenging and flowing vinyasa style. Rebecca Snowball is an Anusara-Inspired yoga teacher and certified Vinyasa teacher. Rebecca trained with Ganga White and Tracy Rich of the White Lotus Foundation. 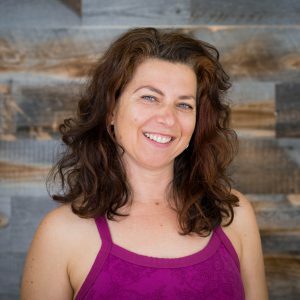 She has completed over 300 hours of Anusara yoga study, including an immersion with Kenny Graham, Teacher Training Level 1 with Stacey Rosenberg, Teacher Training Level II and then a Teachers Intensive with John Friend. Rebecca is a popular teacher that brings much love as well as great teaching skill into her yoga classes.